Be sure to protect your business from a local scammer who has stolen the good name and reputation of local area businesses. A former client of Paul Murton listed a complaint that Murton defrauded his “customers” with overpriced and defective credit card processing equipment. Yet that is just an ends to a mean for Mr. Murton to take over an entire organization! Corporate identity theft occurs when Murton uses an existing business name to bill a business’s legitimate clients for services, under the guise that he has taken over. NPR reports “Business identity theft takes many forms. Posing as a look-alike or sound-alike business to lure customers is one of them.” Murton can change a business’s contact information, with a fake website for example, then use it to steal client’s money by seemingly offering the same services (all be it with a much poorer ability). It is the upmost importance that you be aware of how detrimental this fraud can be to you!!! Victims of business identity theft often do not find out about the crime until significant losses accumulate, and because of the hidden nature of the transactions, businesses can lose vast amounts of money. The damage can be devastating to the victim’s business as corporate identity theft can remain undetected for years! If you are currently dealing with Paul Murton or his partner in crime; Robin Jenkins, alias Peter Moore then you would be best to look their *F* Rating with the Better Business Bureau. Unfortunately we can not be held responsible for any consequences should you continue to associate with this misanthrope. With all the information now coming to light about Mr. Murton’s business practices perhaps it would be best to part ways with this shady character. If you have used any of his quote “services” unquote such as his Toronto Advertising Agency which handles Danforth Magazine, Bloor News, College Street News, Printable Canadian Coupons, among others or had your credit POS system setup by him – you may want to check to see if he created a “courtesy website” for you without permission. A website which will redirect your current customers to email Paul, or call Paul; instead of you! Paul Murton on rare occasions publishes several magazines under the names of College Street News, Bloor News, Danforth Magazine, Queen Street News among others. The rare time these publications are released are in small numbers for the sole purpose of maintaining and generating ad revenue. Mr. Murton fraudulently claims to have “taken over” Your Ward News in Wards 31 & 32. This is a blatant and downright LIE! Paul Murton was at one time our web designer, and if you seen our older sites you will understand why he is no longer with us. He has brazenly taken control of http://www.ward31.ca and http://www.ward32.ca in an apparent attempt to steal our image. The correct websites of our paper are http://www.ward31news.ca and http://www.ward32news.ca. In Murton’s latest edition of his newsletter, he absolutely admits and confesses his theft of our web domains. Murton misrepresents that the staff of Your Ward News has come over to his magazines. The fact of the matter is that his sole workforce consists of Robin Jenkins, alias Peter Moore. Yet we know him better as CRACKHEAD BOB, whom was FIRED from our paper over a year ago! So what we are dealing with is two disgruntled employees whom via deceit & deception say we have went out of business. This is a total fabrication used to STEAL YOUR business! We have always, and continue to publish on a monthly basis reaching up-to 50,000 readers in the Beaches and East York. Murton takes your money and in return puts large sized ads in a magazine that is only published once in a blue moon; in limited numbers and not widely distributed to the public. He offers online ads and coupons on a poorly designed website practically unvisited by the public and charges outrageous fees for creating web-pages that look like they were made by a child. No wonder we had to redesign our own websites after Murton was “finished” with it! Complaints are abound in his other ventures such as disc duplication, credit card processing, and modeling agencies. Murton states he operates all his companies from a store front on Bloor street. In reality his base of operations is in his small one room apartment where the rent is subsidized in return for his caretaking services. Leading us to believe he is hiding behind a legitimate company with whom he only uses to print off a few copies and maybe pick up the mail. 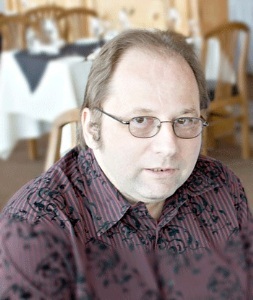 In past issues we reviled Paul Murton’s uncanny ability to defraud local area businesses with willfully overpriced and defective point of sale systems, Murton’s illegal corporate identity theft spree, Murton’s “F” rating with the Better Business Bureau, and Murton’s continued relationship with an habitual crack cocaine smoker – convicted for a major assault several months back. We have often been asked by local area businesses, why is some deluded, mumbling idiot calling to renew their advertisement with us? The simple fact is that a local crackhead salesmen has joined forces with Murton playing a dastardly scheme to commit an unprecedented feat of corporate identity theft, and now that he is getting desperate – his modus operandi has shifted into harassing our clients in the early morning while in a crack induced psychosis. After continued complaints from our loyal advertisers about a disgruntled former employee, Peter “Crackhead Bob” Moore whose real name is Robin Jenkins; we had to investigate. Requesting a copy of one of the voicemails left, our news office was shocked listening to the mental collapse of a long term crack abuser and lifelong ODSP recipient. All victims of Murton’s scam may request a refund by contacting Paul directly at: 15 Hubbard Blvd, Apt #12 or by calling Paul to complain on his direct line at (416) 693-8530. You are correct. I am a victim of his practices. We need to do something about this thief.